A 2015 Mitsubishi Outlander in Rally Red has been my ride for the past week. The vehicle was provided to me for review purposes. All opinions are my own. I must say that I found the safety features to be the most impressive. Chicago has been a frigid land of ice and snow lately. Driving has not been fun and can also feel quite dangerous. 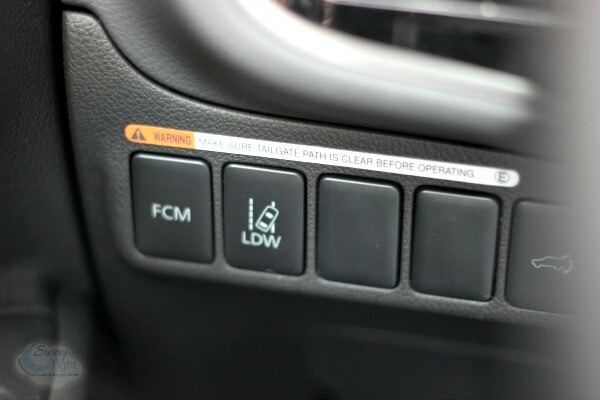 It was the perfect time to get to know all the safety features on the Mitsubishi Outlander. Forward Collision Mitigation (FCM): If you get too close to the car in front of you or are in danger of a frontal collision, this system sends warnings signs and signals. It will also apply emergency braking to reduce the severity of impact. Brake Assist: In case of emergency stops, brake sensors will add extra pressure to help assure a quick and safe stop. 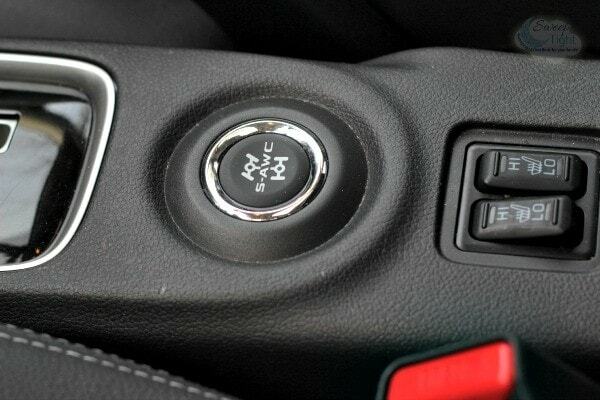 Hill Start Assist (HSA): Holds the brakes for an extra couple seconds to prevent rolling backwards. Active Stability Control (ASC): Keeps the car going in the intended direction regardless of road conditions. Traction Control Logic (TCL): Works along with ASC. This system is ideal for the slick and snowy weather that we have been having. 7 Airbags: There are seven airbags strategically placed to provide protection in case of impact. There are front driver and passenger, seat mounted side, side curtain, and driver’s knee airbags. That’s quite a list of advanced safety features. Of course, there’s also a long list of safety features that you would often see in vehicles. 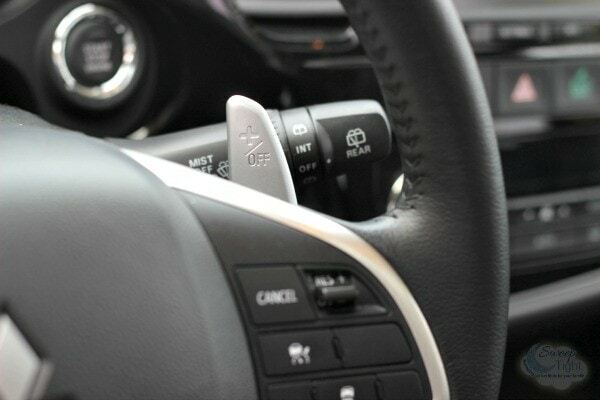 The 2015 Mitsubishi Outlander proves to go above and beyond to keep its drivers safe. I drove the Outlander quite a bit to get a good feel for it. I felt comfortable the entire time. 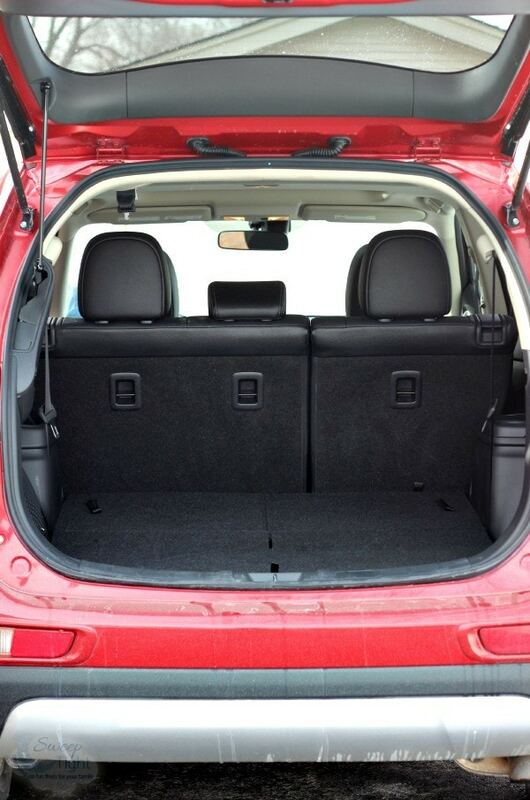 It has the space of a roomy SUV with the ease of driving a car. I never felt like it was big or bulky to navigate around. Even city-driving was a breeze (well, as much of a breeze that driving in the city can possibly be). My sister and I took it to dinner with Mitsubishi, and it was a pleasure. 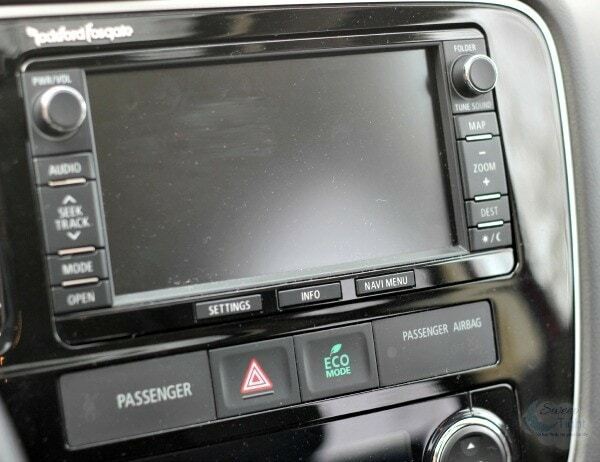 The navigation system guided us to our location, and we were able to enjoy everything the vehicle has to offer. 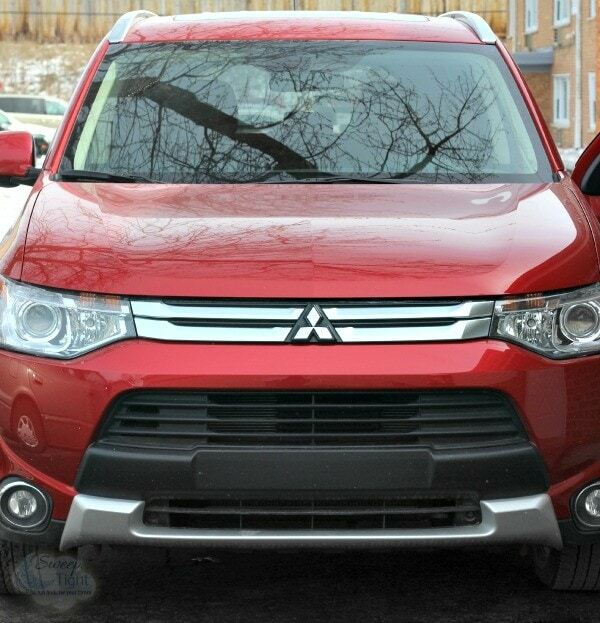 Have you had the chance to check out the 2015 Mitsubishi Outlander yet? What safety features are most important to you in a vehicle? Very good lokking car. The safty is just a plus. I love this!!! Does it have 3rd row seating? That’s my biggest concern! Safety features and third row seating! All the new cars have features that I’d love to have that my 2002 car could only dream of. Since having kids, safety features are pretty much the first thing I look at when I buy a car. The Outback sounds like an awesome car. I’m really impressed, especially with the number of air bags and the warning systems. Like you, I think the warning systems would go off for me all the time. But they’d also make me a better driver. It’s just a matter of time before cars start driving themselves! Looks like it has lots of space. Gotta love that when you have a family! We just went from a mini van to a sporty sedan and I love it. The trunk has SO much more space and there is tons of leg room compared to our old van. This sounds like a sweet ride! I love the styling, and it’s so luxurious. Awesome! That is a sharp SUV! I love all the bells and whistles, and it’s so roomy! I’m in love with this car. It has all the features I look for. I LOVE the side airbag curtains. I’ve heard these are great safe cars. I also love the features and the overall look – you get quite the bang for the buck! I love the snow mode option, this year has been brutal on the east coast!! Sounds like an amazing car! 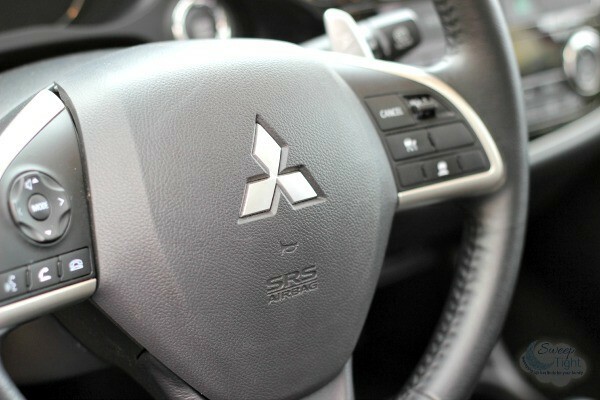 I have never driven a Mitsubishi–the Outlander looks awesome, though! Gonna have to consider it! The Snow Mode would be idea this week! Texas decided it was time to snow all day today, with more on the way! That is one gorgeous vehicle. I love all of the safety features. What a great brand. I used to have a mirage. It looks nicer then my suv. I like how roomy it seems to be. I like that you said it drives like a car, though, instead of a big SUV. I like the Hill Start Assistance. It always scares me when I roll back a little, especially if there is a car behind me. I love the color of the vehicle. However, I love the safety features most. It’s nice to look good, but safety is definitely most important to me. Talk about bells and whistles! What a great car! This is a sharp looking car! Although we need lots of room since we travel with the in laws a lot. This car looks so roomy and a good car to drive in the Winter because it has a lot of traction! I would love to own one of these cars! 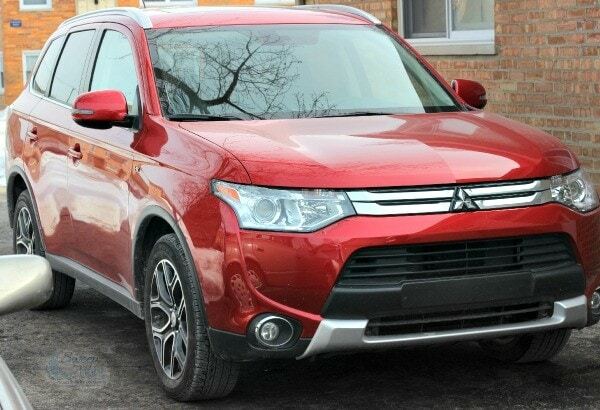 The 2015 Mitsubishi Outlander is definitely impressive. I love all of the safety features, my favorites are the Forward Collision Mitigation and the Lane Departure Warning. Thank you for sharing this review. Safety is extremely HUGE to me and this car definitely looks quite impressive!